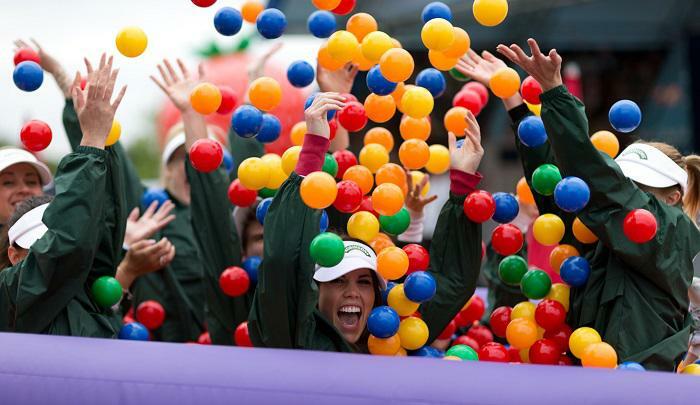 Kru Live were tasked by IMG to provide a team of Robinsons Brand Ambassadors to ‘Play’ at The Wimbledon Championships. In addition to this, Kru Live also provided a high calibre fulfilment team who were based within the grounds of Wimbledon. The ‘PLAY It’s Thirsty Work’ campaign works on the premise that the happiest family moments are when parents play energetically with their kids. This year Robinsons created an experiential area alongside the queue- a large grassy open area where tennis goers can enjoy a cold Robinson’s drink and have some fun while they await entry to the grounds of SW19. Kru Live partnered with IMG during the planning stages of the campaign for a detailed brand and campaign briefing. We know how important is it to assign the right candidate to each role and brand which is why we have a detailed selection process in place for all our clients. Each Kru Live ‘proven’ member of staff submitted a detailed application highlighting why they would be the prefect brand ambassador for Robinsons Play Campaign.The Booking team had an overwhelming response and shortlisted candidates for our client’s approval from over 100 applications.